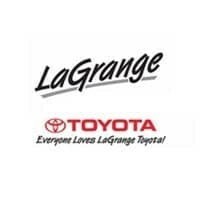 LaGrange Toyota in LaGrange, GA offers Toyota Rentals. Simply let us know when you need to rent a vehicle and we’ll make sure we have the right vehicle to fit your needs. Our Rental Advisors are standing by. Call us at (706) 222-1029, or fill out our Schedule Now form. Can I use my international driver’s license? Valid driver’s license issued in your state or country is acceptable as well as an international license. Yes, insurance is required by state law. 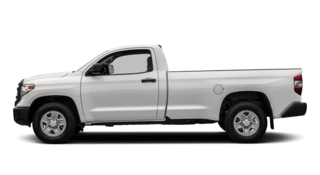 Must carry comprehensive and collision insurance, and the company must allow these coverages to transfer to a rental during rental agreement. You have to be at least 21 years of age to rent or be an additional driver. Renters or additional drivers between 21 and 24 years of age may incur an additional fee. Yes, we have a service to pick up and drop off customers for rentals. A fee may apply if you are out of our normal operating area. Arrangement must be made prior to reservation. A major credit card (a card supported by a pre-determined line of credit) or debit card (see debit card regulations below) in your name, must be presented at time of rental. Your card must have an available credit line sufficient to cover your rental cost plus a minimum of a $150 authorized deposit. Rental is charged at the time of pick up. Debit cards users must prequalify. If you are a first time renter please contact our office for more information on how to qualify for a rental using your debit card. We do not accept prepaid or reloadable credit cards as a form of deposit. Yes, if paying with a debit card there is a deposit of $150.00. 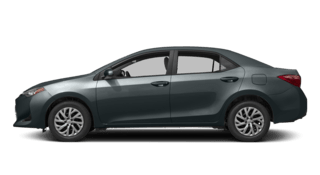 What kind of features come in my rental? 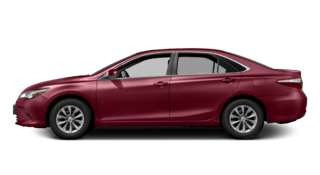 Standard features include AM/FM Cd player, air conditioning, automatic transmission, electric windows, cruise control, back up camera and power steering. Note: Features may vary depending on model and availability. Yes, additional charges may apply when rental vehicle is to be driven by more than one person. Legal spouse can be added at no additional charge as long as they meet minimum age requirements. You may prepay for a full tank at a discounted rate or return the vehicle with the same amount as when first rented. Missing fuel that is not prepaid will be charged at the current office rate. Is there an additional charge for younger renters or additional drivers under the age of 25? Yes, it applies to customers that are 21-24 years old. Please check the box for additional drivers under 25 to calculate the cost. Yes, Vehicles can only be operated within specified states. Our website only reflects rates for Alabama use. Contact us for additional information regarding out-of-state use. Warning: Unauthorized out of state use will result in mileage charges and penalties. Vehicles are equipped with GPS locators that detect state border crossings. 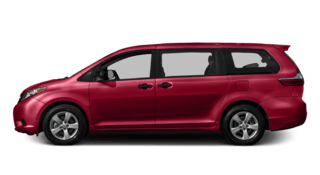 If I rent a vehicle for a month can I get a good discount off the posted rate? Yes, vehicles can be rented by the month (a 28 day period) and receive a special discount. Yes we do. You can print them out from our website when they are posted. Yes, we have a drop off service. You must make prior arrangements with us on where to leave your vehicle. Vehicle left on our lot during non-operating hours will be charged through the following business day. What time is my rental due to return? Unless prior arrangements have been made all rentals must be returned to our office on the date that appears on your contract under “Due In Date” or earlier and within an hour of the time rented. The principal renter may extend the rental contract up to but not beyond a 28 day period. You must have sufficient credit or funds deposited on your contract to cover the rental cost. What happens if I use toll roads or get a ticket? You, as the renter, are responsible for all traffic, parking and toll violations that are incurred during your term of rental. If you have a Sunpass or E-Pass account you may use your transponder in the rental. It is highly recommended that you also add the tag number of the rental to your account in case your transponder does not work properly or has a low battery. If you fail to have a transponder in the rental the tag will be photographed and your rental contract may be charged the toll cost, plus a processing fee. Please inform us if you think you have a pending toll, parking or traffic violation. We will assist you in resolving them before extra fines and penalties are incurred. Please Note: All FAQ’s may be modified at any time without notice or being published on this website. All reservations request and rates must be confirmed by a live rental agent via email or phone call. Full coverage insurance in the driver’s name that will transfer to the rental.